Midwest Performance Cars came to Sparkfactor looking for help with an ad. 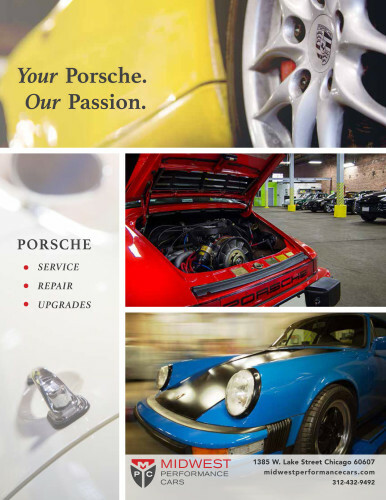 They wanted to place an ad in the Porsche Club of America Chicago’s magazine to advertise their Porsche repair services. They also wanted to update the previous ad to look more inviting and have images take up more space. We reviewed other ads that MPC enjoyed to get a feel for the type of ad they were interested in placing. We developed content based on the desired simplicity of the ad in conveying that MPC is a trusted place for Porsches in the Chicagoland area. We did a photoshoot to take pictures of their garage and some of the cars they had on hand. Once we had both the copy and the image assets, we designed a simple, but stylish ad that conveyed the appreciation of the Porsche to potential customers. The copy was kept simple to be able to focus on the images. Need an ad for your next marketing campaign? Contact Sparkfactor today to see how we can put your best foot forward.